The salon industry is quite big and prosperously growing. The flow of trends is perfect as that is what keeps it moving ahead. Trends put a huge impact on an industry and on the brands in it. Hair salons are abuzz with ideas from the clients and the latest trending of the industry. Some brands want their clients to enjoy a lot of services, all under one roof. 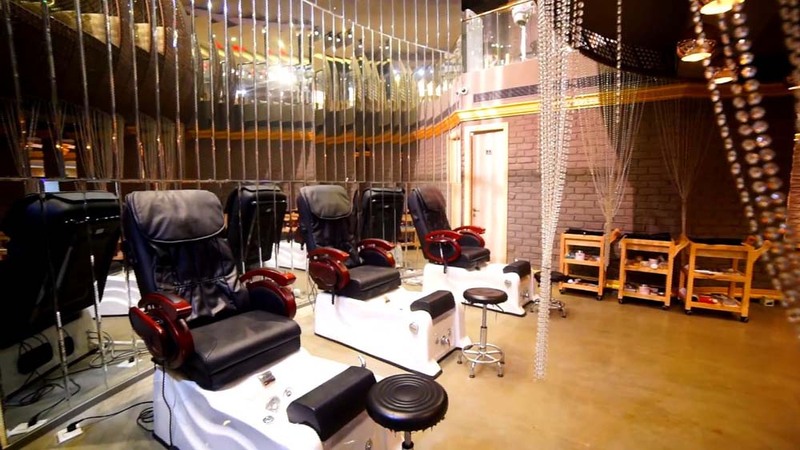 This not only provides comfort to the customers but also adds a strong point to the whole profile of the brand because not all hair salon brands adopt such an idea. In a conversation with Hair Masters for our Indian Salon and Wellness Yearbook 2017, the brand tells us about all the services they provide to their customers, their business model and the best pints they harbour. For over the last one year, Hair Masters has been offering a wide range of services designed to groom the elitist to perfection. From dermatology to nutrition, body shaping to hair- weaving, it offers its exclusive clientele a new level of luxury service unrivalled anywhere in the world. The brand sees itself as an organisation, which aims at leadership in the health and beauty industry by understanding its guests and designing and delivering products and services which enables it to exceed its expectations. The brand always demonstrates care for its customers through anticipation of their needs, attention to detail, distinctive excellence, warmth and concern. Having served the elite of India, Hair Masters continues the legacy of being the citadel of elegance. Apart from beautifying its clients, the salon also proudly runs an academy wherein they train their staff. Some of the courses run by the salon include basic hairstyling, advanced make-up and advanced hair and make-up. The salon is interested in partnering with entrepreneurial and financially sound individuals and companies to start their Hair Masters luxury salon franchises across India. Its partnership/ franchise program ensures that investors receive a high return on investment because of their differentiated business practices, which today are the benchmark of the industry. Hair Masters Salon typically needs a minimum space of 8000 sq. ft. which will house a salon, hair Trichology and personal care products. Some of the facilities given by the salon include comprehensive business support on staff hiring, training, products, ensuring excellent Return on Investment (ROI) and standard operating procedures which guarantees consistency in service standards. Hair Masters brings on board proven corporate management experience with high social status. Skin and hair have been the two areas for which customers have been a lot concerned. Brands like Hair Masters are providing great services to their clients. This is not only benefiting the brands but is also favouring the Salon Industry. There is no dearth of brands to cater to the needs of the customers but only the best go ahead. This is not just because of great quality but also the zeal to try something new which makes the brand big. Experimenting by introducing new services can take a brand to a new level of success.